We are living in a world with finite resources. Yet, despite an almost-insurmountable quantity of greenhouse gas emissions directly exacerbating the global climate crisis, neither organizations nor individuals are incentivized to internalize the negative externalities they are putting forth on humanity. The vital question that must be asked is what cost should be imposed on carbon emitters for destroying the planet for future generations? In just three days, sixty nations will convene for the 2015 Paris Climate Conference (COP-21) in attempts of tackling one of the greatest challenges humanity has ever faced. 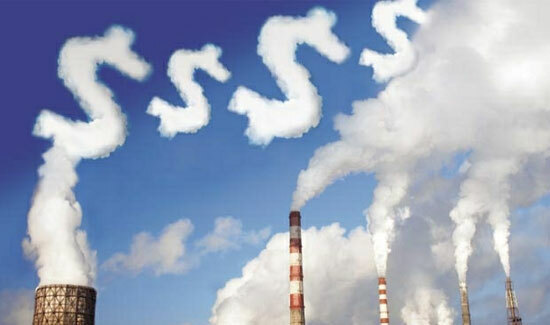 Worldwide, economists and environmentalists have been asserting the need for a carbon tax. Fixing a price on carbon is vastly superior to the command and control methods infiltrating the global economy today, as such policy subsidies and inconsistent government mandates have resulted in a drastic imbalance between advancement of clean energy in some geographic areas versus others. Polluting is, for all intensive purposes, free. A carbon tax to allocate scarce resources would seemingly coerce emitters to consider the opportunity cost of money spent on carbon. While ex post carbon emissions can irrefutably be quantified, it is premature to make definitive conclusions about the future financial impact of emitting carbon today. The capital asset pricing model (CAPM), has endured in modern portfolio theory as a means to identify the expected rate of return for an asset, based on the inherent risk level of the asset in question. Such a required rate of return is then used as a determinant of fair value. Obtaining the present value of expected climate damage with an unidentifiable n number of years is particularly arduous. The market tends to avoid or ignore risk until faced with abrupt crisis: a lost lawsuit, legal challenge, government action, or act of violence. Systematic risk, or market risk, is the uncertainty inherent to an entire market or market segment. Such a risk cannot be reduced through diversification. Unsystematic risk, on the other hand, can be reduced by diversification and is not statistically related to other negative events in the overall economy. The cost of insuring a diversifiable risk is a simple discounted present value calculation of expected future damages. Climate change is a systematic, or non-diversifiable risk, and therefore demands a societal risk premium to account for negative externalities. The theory of sticky prices is the underlying hypothesis governing modern economics. Such a hypothesis asserts prices generally have a lagging response to changes in the broader economy. Stickiness, or “nominal rigidity”, is a market condition that provides rationale for why nominal prices resist change. For instance, when the Federal Reserve increases the money supply, this action should theoretically increase price levels and inflation, as more money is chasing the same amount of goods. However, because prices are sticky, e.g. there is a short-term lagging effect, expansionary monetary policy has the somewhat paradoxical affect of decreasing nominal interest rates. Expansionary monetary policy therefore stimulates the economy. Similarly, in a perfectly competitive market, all firms are price-takers; a firm that attempts to raise its price suffers a loss of demand when others do not imitate. These same principles of supply and demand describe today’s over-supply of oil phenomena: no sole country is willing to unilaterally curtail production. As a result of this imbalance between supply and demand, we have witnessed a drastic plunge in oil: prices that were once $100 have dropped to $40. While truck drivers and consumers are rejoicing at the pumps, the collateral damage from lower-priced oil is a colossal threat to alternative energy projects. The reason for such a dip? 94 million barrels of oil are produced each day, yet 93 million are demanded (International Energy Agency, 2015). This market disequilibrium means that it would only take a 1 or 2% decrease in production to raise prices. And for all oil-producing countries like Saudi Arabia and Russia, a rise in oil prices is advantageous. Yet, even for an action that is beneficial for all players, implementation becomes almost impossible. Why? Because the first-mover gains nothing if the other players do not follow suit. If Saudi Arabia decreased its oil production by 1 million barrels and Russia added 1 million barrels, prices stay the same and the result is that Saudi Arabia sells less oil while Russia sells more. In fact, until last year, Saudi Arabia was a reliable swing producer, increasing and decreasing production to stabilize oil prices in line with supply and demand. But, last year, the world witnessed a marked change in direction from a country we once heavily relied upon: Saudi Arabia’s market leadership and moderation of short-term volatility in oil prices ceased to exist. 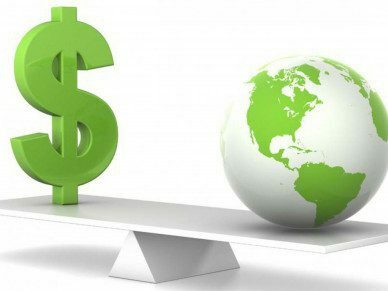 Sticky prices are quintessentially relevant to carbon pricing, as no nation can unilaterally implement carbon taxes without devastating local industries, if the other players fail to follow. The first country to implement a carbon tax will lose its industrial base to a country that does not. Thus, a global carbon solution falls prey to the sticky price theorem. Even if an agreed upon price could be ascertained, implementation of a carbon tax is arduous. In 1990, the United States implemented the Clean Air Act that established a cap and trade policy on sulfur dioxide. Since 1990, sulfur dioxide emissions have decreased by almost 50%. 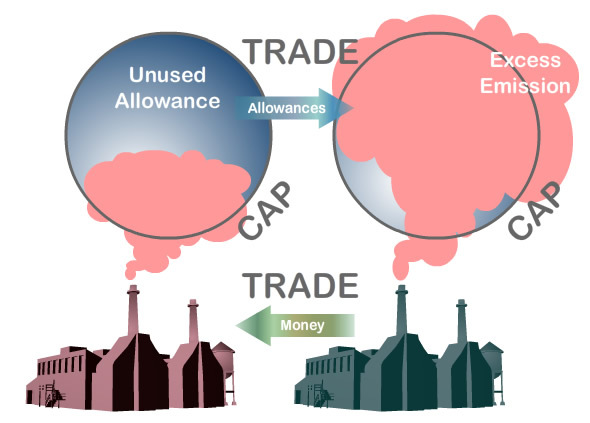 A carbon cap and trade is a similar concept, yet one that has failed to exist on a widespread basis. A carbon cap and trade operates as follows: authorities determine how much CO2 they will allow (the “cap”) and existing polluters buy a permit for each ton of CO2 they produce. Permits can be traded (the “trade), but overtime the allotted amount of carbon warranted by the certificates diminishes, such that polluters are coerced to reduce emissions. The rationalization behind such a policy is that a gradual decline in emissions is not a huge initial detriment to industry. The U.S. Congress has been hostile to the idea. Republicans denying the negative implications of global warming oppose the concept of cap and trade as they view carbon limits as economically detrimental. Democrats oppose the cap and trade, based on the premise that carbon certificates reward current polluters and perpetuate the status quo. The futile cap and trade effort sheds light on a major impediment to widespread implementation of financial penalties for carbon: simply imposing a tax tomorrow is not feasible, as such a shake to the economy would not only destroy commerce, but tends to meet numerous political hurdles. When it comes to pricing carbon, the underlying question is what incentives should be imposed on society today in order to alter behavior? Acknowledging the magnitude of the power of incentives, the X-PRIZE Foundation was originated on the premise that highly leveraged incentives can encourage actions that surpass the boundaries of human potential. That incentivized competition empowers breakthroughs and solutions once deemed impossible. “We believe in the power of competition. That it’s part of our DNA. Of humanity itself. We believe that you get what you incentivize. And that without a target, you will miss it every time. Rather than throw money at a problem, we incentivize the solution and challenge the world to solve it.” – XPRIZE. Seeking to shift carbon emissions into productive uses, the Carbon XPRIZE is challenging the world, with a $20 million economic incentive, to reimagine CO2 and develop new conversion technologies. In just three days, the world is expecting a drastic change from the Paris Climate Conference, as though one conference will result in a global agreement to change the world. Leaders from nations around the globe are pointing to COP-21 as a last resort. Certainly guidelines will be established, and many nations have already established post 2030 goals. But will we witness a concerted implementation of such guidelines? Historical anecdotal evidence, the interdependency and complexity of our global economy, and the theory of sticky prices pessimistically all point to a high probability outcome similar to other COPs of the past: failure to derive any true consequences for nations and organizations that do not adhere to their lofty commitments. It begs one to wonder if we will be holding a similar conference ten years from now. Lot os excitement about this Paris meeting. How does this affect the US election?